Zookal is the leading educational app in the Philippines. With over 200,000 users, they aim to deliver a better and faster app. To do that, they launched the latest version of their app. The impressive team of over 100 experienced teachers and topic experts doubled the Zookal content library to 40,000 questions and full solutions. They are not focusing on just popular school topics, but they also cover licensure tests as well. Along with the content expansion, a new UI comes with the latest update too. The app's success relies on the tailored learning experience it provides each individual user. It will adapt to the user's learning speed and style to provide the most efficient way for them to learn. The app interacts with the user by providing immediate feedback after each question. These are all curated by their team of experts. These feedback give students a chance to immediately learn the solutions while building their confidence along the way. 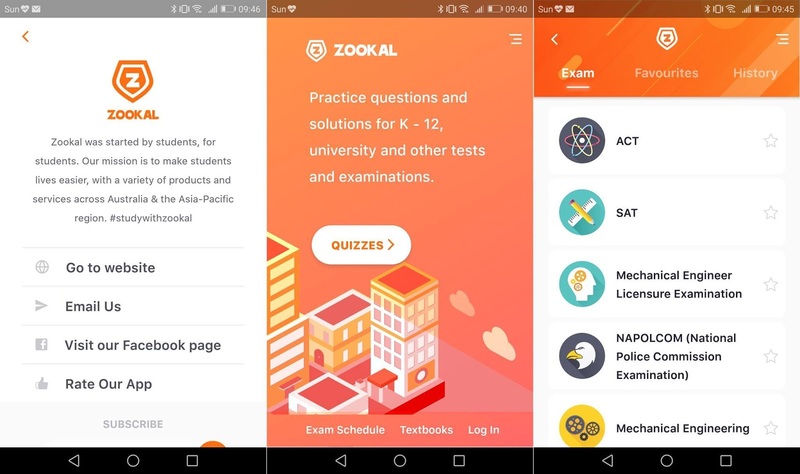 Zookal aims to prepare students and young professionals for the exams that will define the course of their careers in the next five or ten years. With questions carefully created and curated by teachers and practitioners of various fields, we offer the best app-based reviewers in the world. Zookal is also trying to break the AI side of things. Zookal's Head of Operations Karla Kay Sarno gave hints that Zookal may be going to implement AI-based learning to properly take the user's learning quirks into account to personalize the learning approach. This is already in play in one their apps called Quiz Infinity that gives you quizzes according to topics in Wikipedia. Zookal is changing the playing field in terms of tools in learning. This can only get better as technology advances. To learn more, visit www.zookal.com.ph. You can also download it for free at Google Play for Android users, and Apple App Store for iOS users.